Prepare for the worst. Protect with the best. 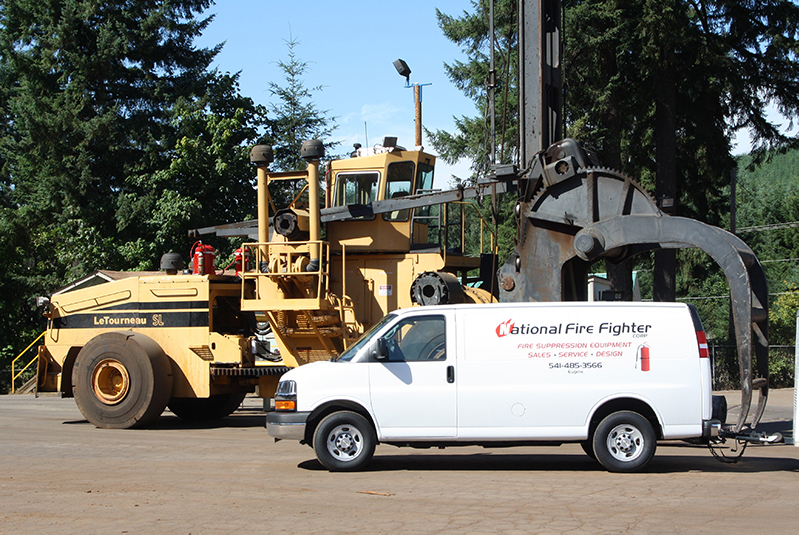 Industries rely on their heavy mobile equipment to work around the clock, and the fire protection needs to work 24/7 too. 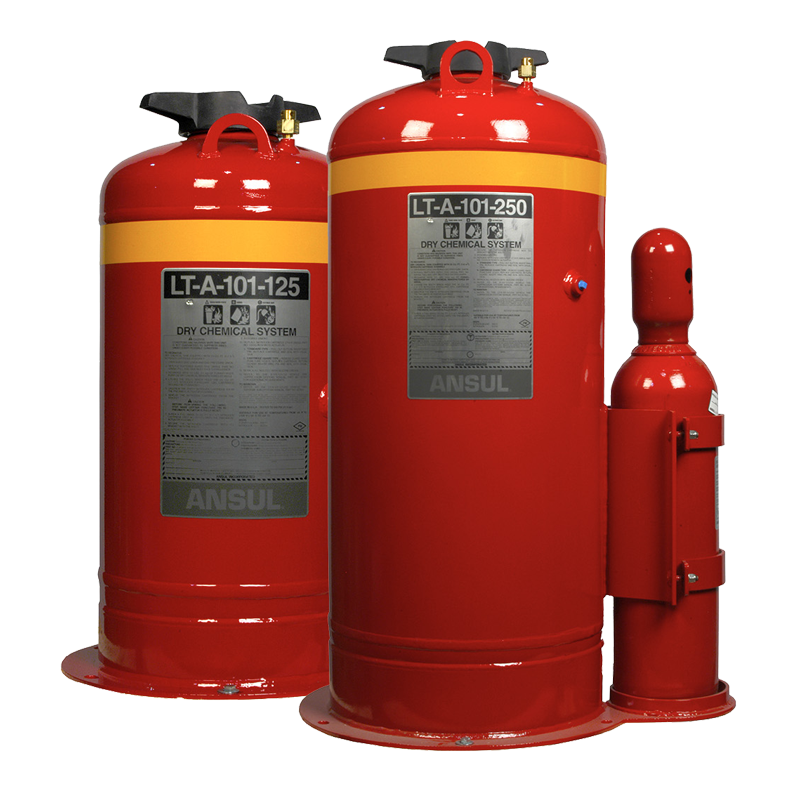 ANSUL® offers dependable, fast-acting fire detection and suppression solutions to safeguard your people, while protecting your business — any time any place. 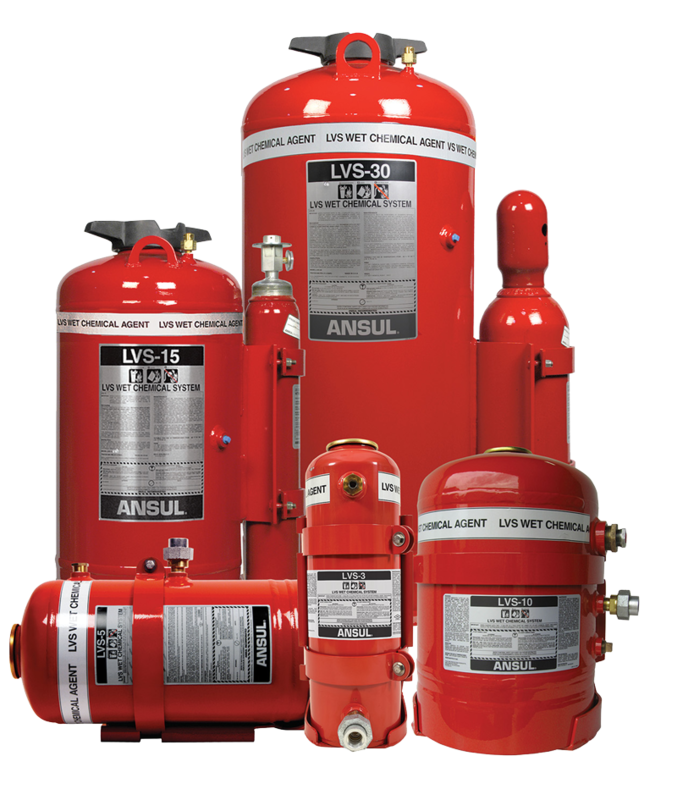 The ANSUL LVS Fire Suppression System agent provides both fire suppression and superior cooling of superheated surfaces while blanketing fuel and cutting off oxygen to help prevent reflash. The liquid agent flows readily into hard-to-reach areas where flammable liquids may have traveled. The liquid agent also provides soaking properties that are effective on the Class-A debris common in forestry settings. Additional features include tank capacities of 3 gal to 30 gal (11.4 L to 113.6 L); vertical and horizontal mount options and an effective operating range of -40°F to 140°F (-40°C to 60°C). The ANSUL® CHECKFIRE 210 Detection and Actuation System is engineered to stand up to extreme operating environments. 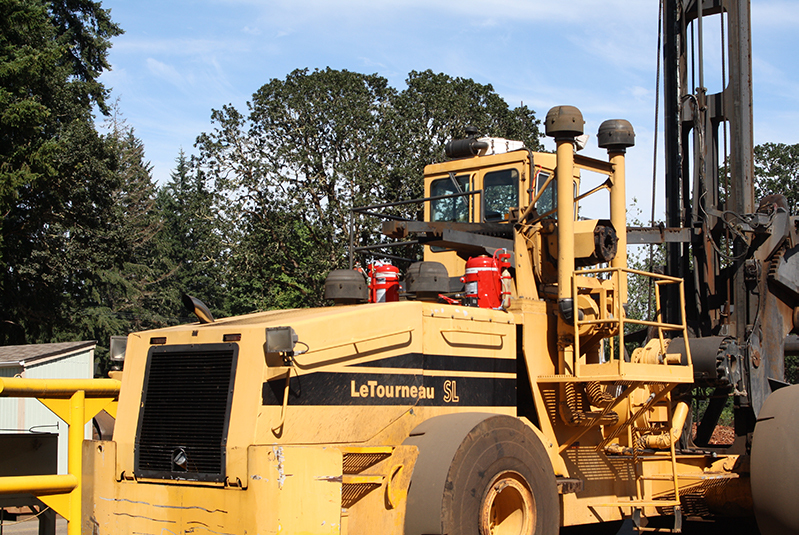 This versatile system is designed to provide detection, alarm and fire suppression system actuation for mobile applications like hydraulic excavators, haul trucks, wheeled loaders, dozers and graders. 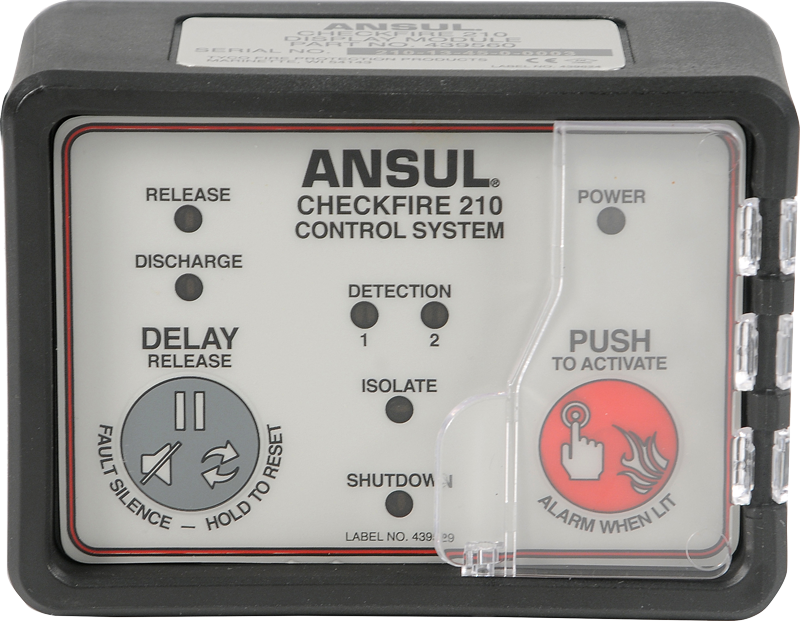 The CHECKFIRE 210 is typically used with an ANSUL A-101, LVS or Twin-Agent Vehicle Fire Suppression System for 24-hour protection of equipment. The ANSUL A-101 Fire Suppression System discharges proven FORAY multipurpose dry chemical agent to quickly knock down Class A, B and C fires. With tank capacities from 10 lb to 250 lb (4.5 kg to 113.4 kg), the A-101 fixed nozzle system can be designed to flood entire volumes with dry chemical agent or to discharge directly at specific high-hazard areas. Features include manual and/or automatic detection and actuation, a variety of agent tank options and a low-profile tank option for environments and applications where space is at a premium. Plus, the extreme temperature option ranges from -65°F to 210°F (-54°C to 99°C). 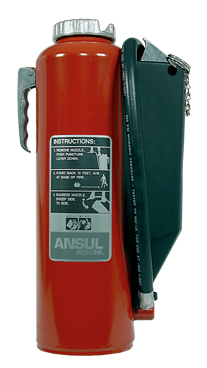 RED LINE Cartridge- Operated Fire Extinguishers provide the ability to fight fires in the incipient stages. Cartridge operation means increased reliability, ease of service and on-the-spot recharge. Tough, carbon steel shells are designed to resist impact and vibration; quality components can stand up to years of service; and specially formulated powder paints provide superior protection against corrosion, scratching and chipping. A wide array of model options and dry chemical agents are available. 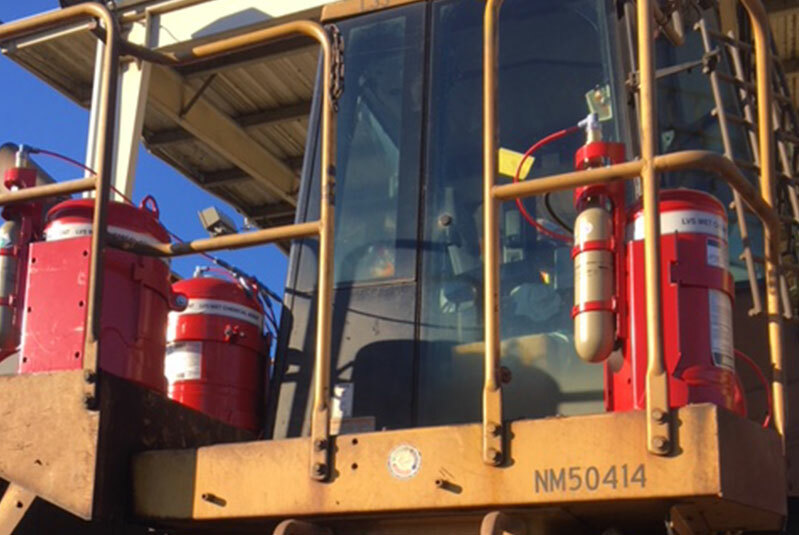 Heavy-duty vehicle brackets provide reliable mounting of the extinguisher for easy access and proper placement on mobile equipment.